After thirteen years of loyal service to Wexford GAA, Horsewood native PJ Banville has decided to hang up his boots. During Wexford’s golden generation in 2008, Banville was widely regarded as one of Wexford’s key forwards. That year, they made it to the All-Ireland semi-finals where they lost out by four points to a Tyrone team that became eventual winners of the All-Ireland final. That year is most remembered for the journey, a journey of ups and downs which encapsulates the life of a Wexford GAA player. However, in the minds of Wexford GAA supporters, Banville will be remembered as being one of the highs of Wexford football. In full-flight, his speed, trickery and skill in the full-forward line was an absolute pleasure to watch. With his club Horsewood, Banville picked up four Wexford Senior Football championships, them being in 2005, 2006, 2009 and 2011 and was a pivotal player to their success. “After a lot of thought, I have decided to hang up my boots from intercounty football with Wexford. “I thought this day would never come but I have enjoyed every moment of it and it’s been an honour to represent the county for the past 13 years. 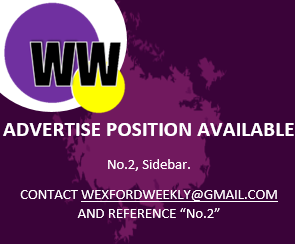 To submit an article to Wexford Weekly, please click here.